Around the time when most of the Great War soldiers were born, c. 1890, "Burbage-on-the-Wye" was a separate parish, having been formed from Hartington Upper Quarter in 1869. The Parish church of Christ Church, was built in 1861, and extended 30 years later. The population of the village in 1881 was 1,420, rising to 1,917 ten years later. It had fallen back to 1,316 in 1891, but by the turn of the Century (1901 Census) it had risen again to 1,503, with just 30 more in 1911. Many of the young men of Burbage who went off to War worked in the limestone quarrying and coal mining industries, and were said to be: ".. of the non-conformist persuasion ..", a factor which was to become relevant in the eventual choice of type of Memorial and its location, i.e. whether to be based in or around the Church of Christ, or somewhere else entirely. · I am grateful to Val Stenson ('The Fallen of Fairfield') for the information on Henry Orritt Bagshaw. 'Peace Day' celebrations were held on the 19th July 1919 and "The Buxton Advertiser' published that day was beginning to reflect the anger and discontent of the people of Burbage over the lack of progress. The paper reported that another Public Meeting, in the Parish Rooms, had been called for Monday evening (21st July), when it was to be proposed that the Memorial would be: "… a stone obelisk in a central position in the village, containing the names of those who have fallen, and thus memorialise for all time to future generations the great sacrifice made by their ancestors. The stone is to be supplied by the Hopton Wood Stone Company, and altogether the cost is estimated at about £200." "The unveiling of the magnificent memorial on The Slopes at Buxton last Saturday has awakened in the minds of several Burbage people the almost dormant question as to what has become of the Burbage scheme. It is a long day since the first meeting was held, and subsequently resolve to erect an obelisk of Derbyshire stone opposite the public hall. Again, how is the Recreation Ground proposal progressing, the site for which was generously offered by His Grace the Duke of Devonshire, in answer to the petition of residents?" It would appear that things progressed after this, however, as the December Parish Magazine reported that an unveiling ceremony took place on the 6th November 1920. Sadly, however, the Recreation Ground proposal came to nothing and all of the problems outlined by William Edge (above) have come to pass. The Memorial is constantly dirty from passing traffic and Remembrance Day Service have to be conducted in the middle of road. 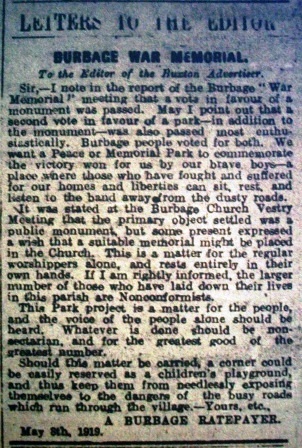 The first suggestion that Burbage should have its own Memorial seems to be in a sermon preached by the Vicar of Burbage at a series of Memorial Services to the village's fallen, held in the Parish Church on Sunday, 29th December 1918 (reported in 'The Buxton Advertiser' of the 4th January 1919). The Rev. J. Hewetson said "in the course of an eloquent sermon" that ".. he hoped someone would suggest a permanent memorial either in the Church or somewhere near, which might be looked upon by future generations as a reminder of the self-sacrifice and sterling character of those of this day and generation who had given their all for the cause of righteousness." 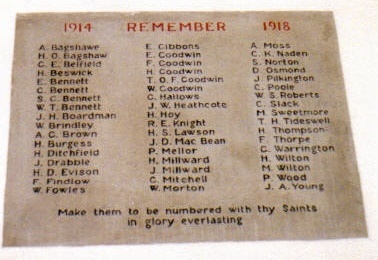 The Burbage Roll of Honour was read at each Service held that day. Nothing official appears to have happened until a meeting of Burbage residents was called on Friday, 2nd May 1919 (though no doubt there had been much local discussion). The meeting, held in the Parish Room was ".. for the purpose of discussing the question of a suitable memorial for the many gallant lads who have given their lives in the great cause of liberty." quarrymen - placed in a prominent position close to the church, chapel or school …". Mr Hubbersty's letter concluded by offering his wife's apologies for not attending the meeting, but that she too favoured the idea of an obelisk "… or perhaps a lych-gate." To his credit, and despite the obvious pressure from the local 'gentry', the Chairman maintained that it was a Parish meeting and therefore non-sectarian, and the views of the local residents should be sought. Having said that, however, he suggested that the Vicar address them! It seems that from this very first meeting the idea of an obelisk took root. 1. After much discussion, the "BURBAGE WAR MEMORIAL" was erected in the form of an obelisk made of local stone. 2. 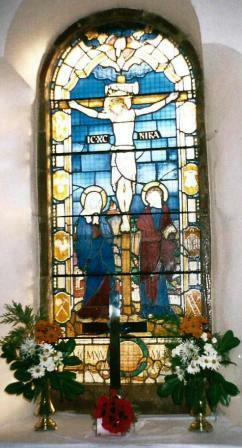 Inside "CHRIST CHURCH, BURBAGE" can be found a stained glass window and a white polished marble plaque. 3. "BURBAGE CHURCHYARD" contains a number of War Graves of men of the village who died 'at home'. Views were not slow in coming either. 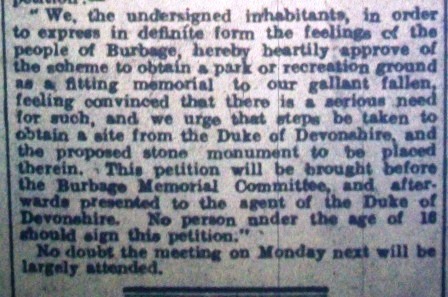 The letter (left) published in the following week's 'Advertiser' [10th May] pointed out that as well as passing a vote for the obelisk proposal, a second vote (not reported the previous week) "... in favour of a park - in addition to the monument - was passed most enthusiastically." This writer too makes the point that most of Burbage's fallen were non-Conformists and that an internal memorial IN the church was a matter for regular worshippers only. A very well though out suggestion from Mr Edge raised concerns of children playing in the "busy traffic at the road junction" (!!) and suggested the compromise of placing the obelisk memorial at the centre or in the middle of the park "... where the names of our fallen boys would always be clear and readable." He maintained that if placed opposite the church entrance - which it was - "... the names would very often be buried owing to the clouds of dust caused by present day motor traffic ..." - which they are. By the 8th November 1919, however, 'The Buxton Advertiser' reported that it had been finally decided that the proponents of the obelisk had held sway and a "monument" was to be erected near the Public Hall. It read: "Fifty-two heroes laid down their lives in the Great War from Burbage parish. Their names are to be placed on the monument. …… Relatives and friends are requested to carefully scrutinise the names given below, and if any errors are noticed the Vicar (Rev. J. Hewetson, M.A.) should be informed as soon as possible:-" The names were then listed. From this list 7 more names were subsequently added, whilst 5 were removed. 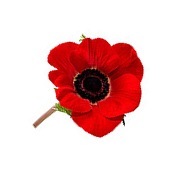 four hundred residents of Burbage parish have signed the following petition:- "
fitting memorial to the fallen. on the most prominent place that could be found." Gnr. L. BENNETT Chief Eng. C. MUSGROVE M.N. As detailed above, after much discussion, the Memorial, in the form of an obelisk, was formally unveiled on the 6th November 1920. It is located at the junction of Macclesfield Old & New Roads, in Burbage, Buxton. The NIWM [National Inventory of War Memorials] describes it as: "A limestone obelisk on a pedestal, plinth and a two-stepped base. The obelisk is plain and the battered pedestal has a moulded top and recessed panels on each face bearing the inlaid inscription in upright capital block lettering. The plinth has vertical faces and a moulded top and bears the WW2 supplement on the 6 o'clock face, also inlaid in upright capital block lettering. The whole is surrounded by wrought iron railings and handgate painted black." and we know from earlier 'Buxton Advertiser' descriptions that it is made "... in Hopton Wood stone, 12 ft. 9 ins. [3.89 m.] high, with step 5 ft. by 5 ft. [1.52 m.], and four centre panels to receive inscription... "
Even though the organising Committee for the building of the Memorial identified: "Fifty-two heroes [who] laid down their lives in the Great War from Burbage parish. ", the three faces of the obelisk contain the names of just 48, after the list was modified by the Burbage families. The names and inscriptions are shown below, and as can be seen the Memorial is in need of some considerable renovation. If cleaned it would, for a while, at least, resemble the gleaming white limestone monument originally unveiled in 1920. IN THE LAND YOU LOVED." All the names of the above appear on the Town War Memorial, The Slopes, Buxton, as do the names of the World War 2 casualties added to the Memorial after that War - see below. (1) A stained glass window with figure of the Virgin Mary and St. John the Evangelist at the foot of the cross. The window was dedicated by the Rev. Lionel Stamper on the 8th November 1925. (2) Also in The Lady Chapel, is a white stone (marble?) wall plaque, lettered in black, bearing the same names as are found on The Obelisk Memorial outside, with the addition of H.O. BAGSHAW and H. HOY. Their were omitted from the Memorial outside the Church and they were not among the names on the "official" list printed in 'The Buxton Advertiser' of the 8th November 1918. The Plaque inside was unveiled later, which allowed "H. O. Bagshaw", who died in 1921 to be added. 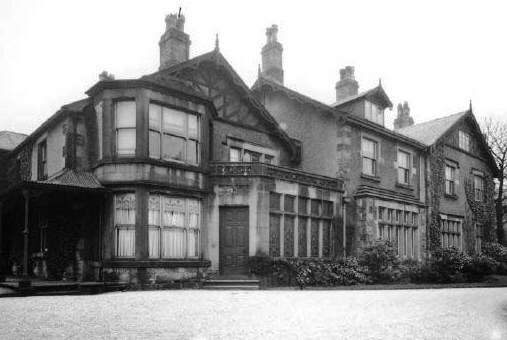 Although Harold Hoy was born in Burbage, by 1911 his family had moved to West Road, Buxton (Census RG 14/21243). However, there is no C.W.G.C. Record for "H. O. Bagshaw". [see Footnote below] who had also moved away. This churchyard is the only one in the parish still to have an open Churchyard. lies in a family grave. Henry Orritt BAGSHAW was born in the December quarter 1884, the oldest son of William (Farmer) & Maria (nee Orritt) Bagshaw of Beet Farm, Burbage. He was baptised on the 8th March 1885 at Burbage Church, and had two younger brothers, Leonard and William. (1901 Census RG 13/3271). He married Alice Hawks in the December quarter 1904, registered at Chapel-en-le-Frith, so possibly in the same Church. The couple moved to Greetham, Oakham, Rutland. (1911 Census) Henry was working as a 'Cowman', the couple had 6 children, Robert, Mary Kathleen, Leonard, Bertha, Jessie and Charles (who died as a baby in 1919). Henry enlisted in the Royal Army Medical Corps and his Regimental No was 49995. He was posted to France on the 25th July 1915. Burbage Obelisk Memorial, but was included on the Memorial Plaque inside the Church. N.B. The Service details of the highlighted men can be accessed by clicking their respective names above. However, Pt. Charles Bennett and Spr. John Henry Thorpe both died after the list of names for The Slopes Memorial and the Burbage Memorial were finalised, and so are not commemorated on either of these Memorials. Charles Bennett, however, is named on the Memorial Plaque inside Burbage Church, which was erected later. The Second World War burials are 2/Lt. John Evelyn Charlier and Spr. John Golden and are not currently commemorated on this site. [Click on their highlighted names to read details from the CWGC site.] Photos of their graves are shown on the right.